Using Uber for a business trip? Get the trip receipt after! At Uber, we always try to provide you the most seamless experience possible, from the moment you request a ride until you’re dropped off at your destination. Our rates are transparent, and no matter what trip you take – business or personal – your receipt is available right after the trip is completed, and you can download it at any time. 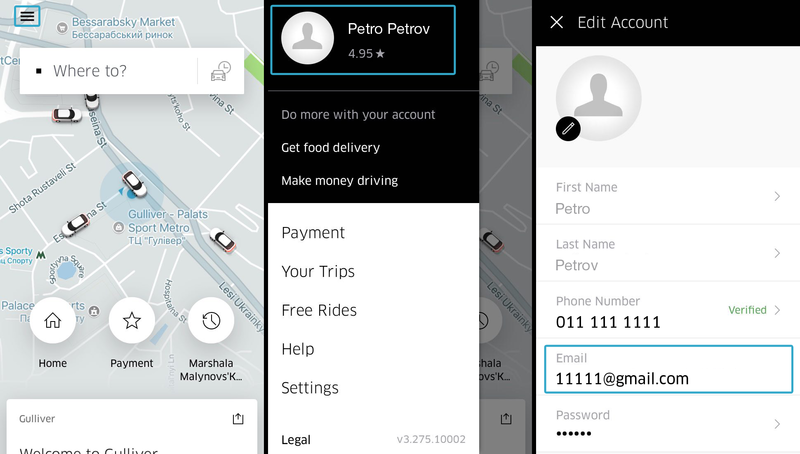 How to download a receipt for your Uber ride? Done! Your receipt will be sent to your email. To download a receipt you must have an email added to your account. How to add email to your account? Here you can add your email and password for your account. If an email is linked to your account, receipt will automatically be sent to you after each trip. How to know if I have an email added to my account and which one? You can easily check this in your app: open “MENU” and tap your name or profile photo. Your account information will appear and you can see if you have email linked or not. Also you can change your valid email – just click arrow next to your email in the app and enter the new one. Can I receive a receipt without email? You can always review digital receipt in your app (choose “Your trips” section in MENU, tap the trip you need and click “Receipt”). Why I don’t receive a receipt if I have email added to my account? If an email is linked to your account, a receipt will automatically be sent to you after each trip. Please check your “Spam” or “Junk” folders, because sometimes receipts may get there.